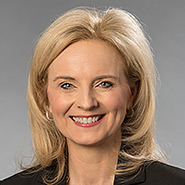 PHOENIX, Ariz. — The national law firm of Quarles & Brady LLP today announced that Phoenix Office Managing Partner Nicole Stanton has been honored by the Children’s Action Alliance with its 2016 Horace Steele Child Advocacy Award for her courage, commitment and resolve in improving the lives and life chances of Arizona’s children and families. Stanton accepted the honor during the organization’s 18th Annual “Through the Eyes of a Child” luncheon, which was held on October 21 at the Arizona Biltmore in Phoenix. Stanton started Stop Bullying AZ in 2012. In its first year, Stop Bullying AZ sponsored an anti-bullying summit at Arizona State University’s Tempe campus. The summit provided 300 school administrators and teachers with information and strategies to help stop bullying in schools. “The support received from educators, local and national leaders, parents and students has been overwhelming. Today, The Dion Initiative (formerly Stop Bullying AZ) brings together renowned educators, dedicated direct service providers, and private-sector innovators to create a greater understanding of the obstacles our children face and to develop and share evidenced-based and easily replicable programs that overcome those obstacles,” said Stanton. A primary area of focus for Stanton and The Dion Initiative recently has been to raise awareness in the area of Adverse Childhood Experiences (also known as “ACEs”). Bullying, among other violence against children, is an ACE and it has been important for Stanton to help the business community and public policy makers understand the long-term impact of ACEs on our community and economy. In addition to this direct work with children in the community, Stanton is similarly devoted to Arizona’s legal, civic, arts and leadership communities, recently being elected to the American Law Institute as a member and to the Arizona Equal Justice Foundation board of directors. She also serves the local Phoenix community as a founding board member and past president of the Women’s Metropolitan Arts Council of the Phoenix Art Museum and is a member of Charter 100 Women. Stanton is also an adjunct professor at Arizona State University Sandra Day O’Connor College of Law teaching professional responsibility, and served as a member of the Business Court Advisory Committee. A graduate of Valley Leadership Class XXIX, Stanton is a recent recipient of the Gay, Lesbian and Straight Education Network (GLSEN) Phoenix Ally Award, which is given annually to local leaders who advocate for safe and respectful schools and create positive change for all students, including lesbian, gay, bisexual, transgender, and questioning youth. She was also named as the “Woman of the Year” by Arizona Summit Women's Law Association at its first-ever recognition event. She is a past YWCA of Maricopa County’s Tribute to Women honoree in the Business Leader category. Stanton has also been honored as one of the “Most Admired Leaders in Arizona” by the Phoenix Business Journal and “50 Most Influential Women in Business” by AZ Business Magazine. Children’s Action Alliance (CAA) is an independent voice for Arizona children at the state capitol and in the community. CAA works to improve children’s health, education, and security through information and action. www.azchildren.org.